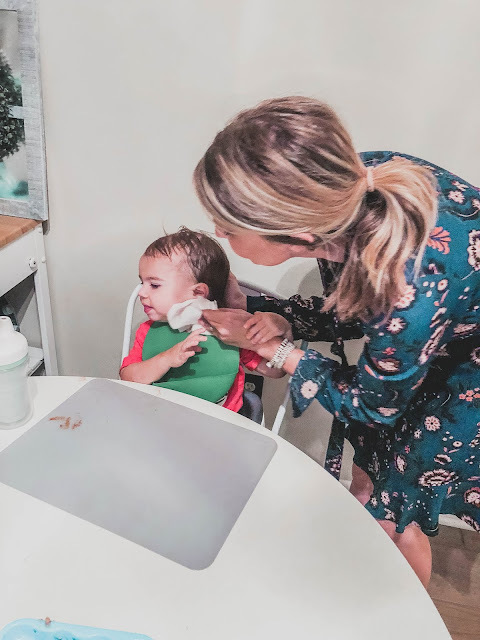 Everyone wants to use gentle products on their babies skin, it also helps that it's a trusted brand I use on my skin as well! I've used Aveeno products as long as I can remember and love that I can now take pride in using them on Joey. Like myself, Joey has sensitive skin so when I saw Aveeno baby was pediatrician recommended, I jumped on the opportunity to use it. Joey loves bath time, especially with his daddy! He loves to take all his toys out and play with them and splash around! We try to make bath time as much fun as possible so that Joey never has a bad experience and learns to 'hate' it. Using Aveeno baby wash and shampoo is perfect, because it's tear free in case he gets it in his eyes.. which with a wiggly baby- it happens!! After bath time, we usually play a little before reading our books, having some water and getting ready for bed! 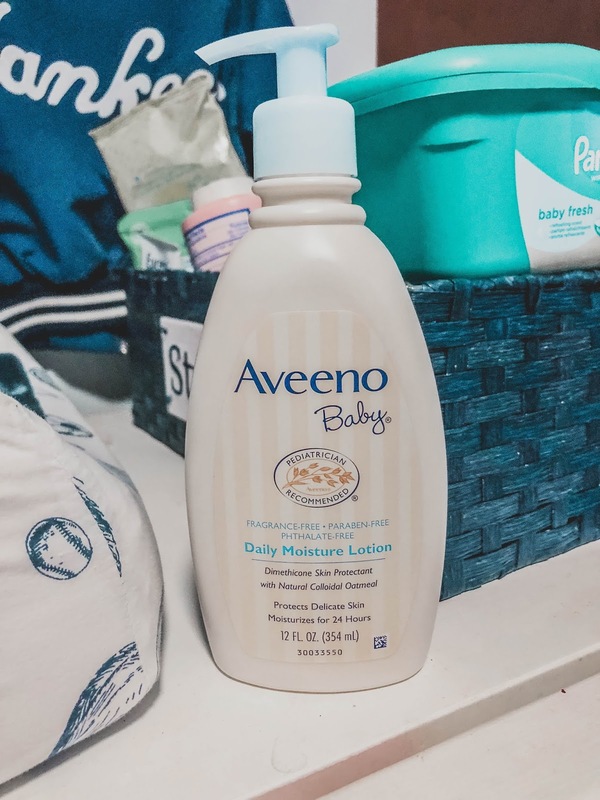 Before I put Joey's PJ's on, I always put some Aveeno baby daily moisture lotion on him. It protects his delicate little skin from the tossing and turning he does over night as well! 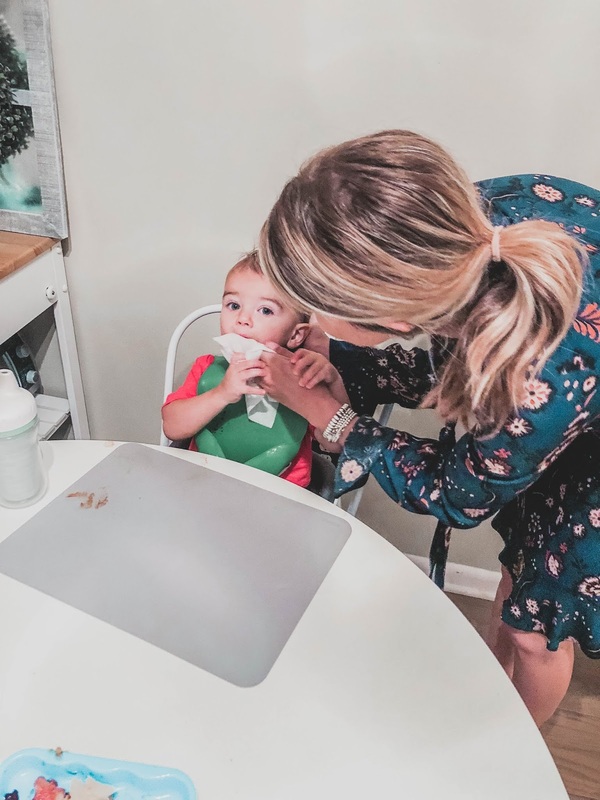 Raise your hand if you're a mom and always carry face wipes in your purse! I swear no matter what Joey eats, without fail he gets it all.over.himself!!! 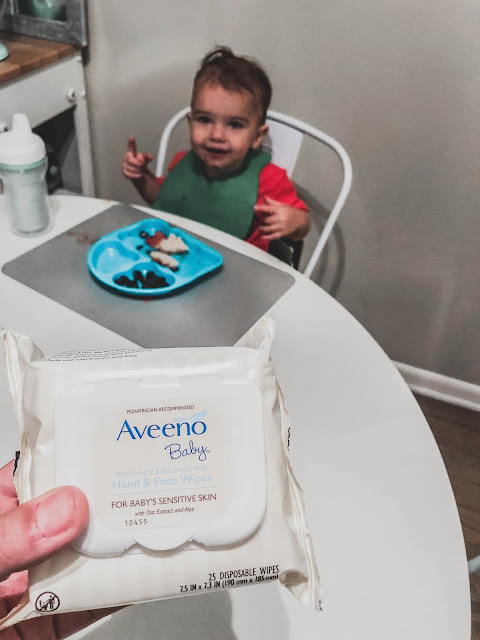 One quick wipe with our Aveeno baby face and hand wipes and we are instantly clean! Unlike other wipes I've used in the past, these do not have a fragrance in them, so I feel comfortable really wiping Joey down without him breaking out. 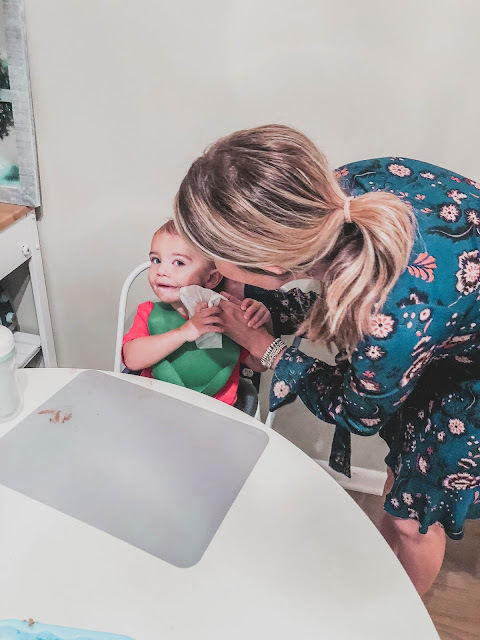 And for a kid who hates his face getting wiped, it makes it a little less struggle since I can get him clean with just one wipe!! 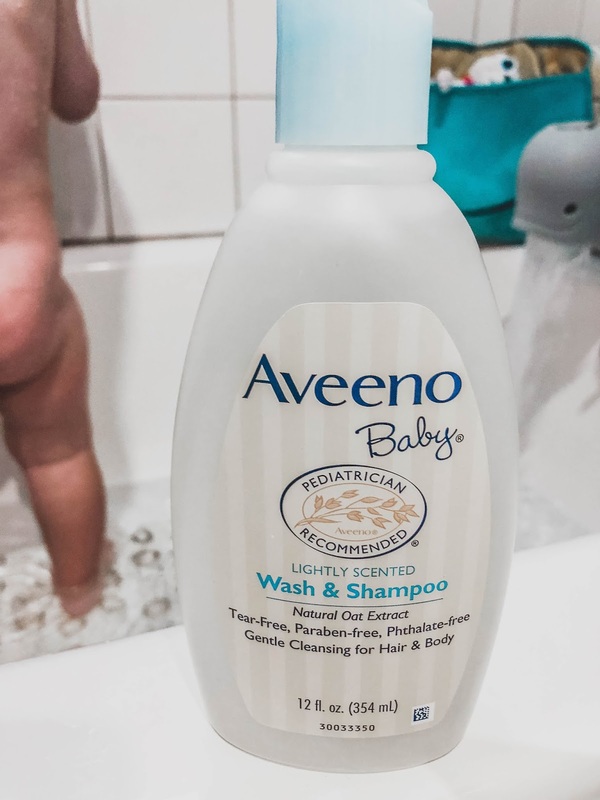 I received these products from BrandBacker on behalf of Aveeno and I worked with AveenoUS to bring you this post. All opinions are my own!